You have great taste for learning Tush, good for you 🙂 This classic blues rock song should be made compulsory for all guitar players, there's just so much to learn from this song. It's basically a 12 bar blues song in the key of G, played the ZZ Top way. There are lots of things going on in the song, and our Tush guitar lesson will teach you how to play the entire song. Except for the solo. Maybe I'll do another lesson on that sometime. We'll start the tutorial by reviewing the chords that are used for 12 bar blues in the key of G. If you need to do so, please go ahead and review the 12 bar blues form. Next, we'll start learning the intro/main riff to Tush. It's a bit tricky, since it starts off with a slide, than you'll be plucking just the inner strings, muting the rest (in case you do pluck them), and adding ghost strums in between. Quite a handful, but I'll show you every detail. After the main riff, we'll start learning the riffs Billy Gibbons plays during the verse. By the way, Billy Gibbons was named the 32nd greatest guitarist of all time by Rolling Stones Magazine. Just FYI. The G riff is very similar to the main riff. It's basically the 1st half of the main riff played 4 times (4 bars). The C and D riffs are classic blues woogie woogie patterns. I'll show you 2 ways to play them. There are 2 walk ups, 1 from the G to C, than another from the C to G.
And what would a 12 bar blues song be without a turnaround? We'll of course learn to play the turnaround to Tush as well. At the end of the lesson, I'll also teach you how to play rhythm guitar during the solo section of the song. 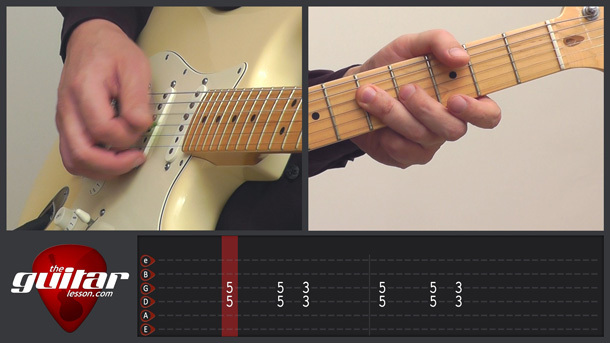 If you want to learn to play the solo to Tush, have a look at the downloadable tabs. It's basically the G minor pentatonic, fairly simple stuff. Tush was released in 1975 on ZZ Top's 4th album, Fandango. It was released as a single as well. The title, Tush, has double meaning in the song. It refers to buttocks, as well as lavish. Sorry, but you've reached a premium content area. The download of the Tush tablature file is only available to premium members. Sorry, the same goes for the backing track. To download the backing track to Tush, please log in and revisit this page.